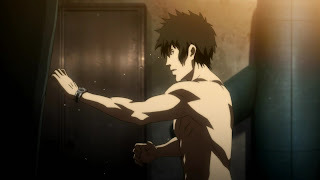 Psycho-Pass is an anime that started off mediocre and uninspiring. But as the episodes have gone on, I've started to see something in it; a jewel that is slowly being polished into a series that just might be worth watching after all. 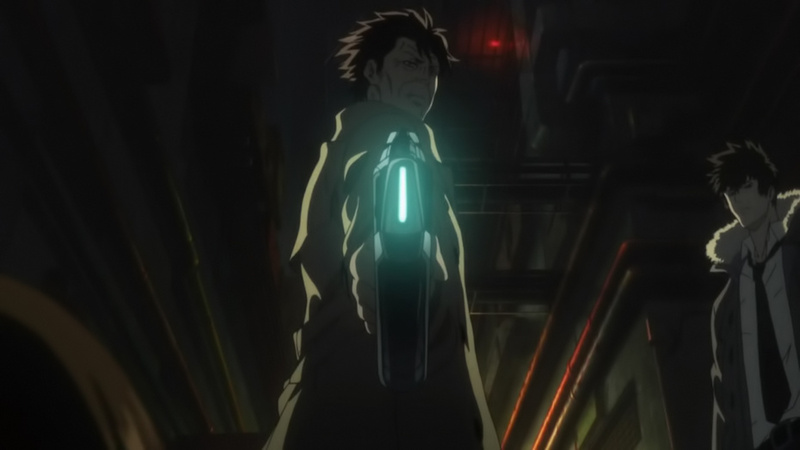 The anime is based in the near future, following a similar story to the movie Minority Report, where it is possible to measure a person's mental state, personality and the probability that a person will commit crimes. This is called their "Crime Coefficent" level and is monitored by "Enforcers" working for the Safety Bureau's Criminal Investigation Division. Enforcers use weapons called "Dominators" that read the target's mental state and determine how serious of a threat the perpetrator is. The weapon has two modes, stun and lethal, and will automatically switch between the modes when the target's level gets too high. 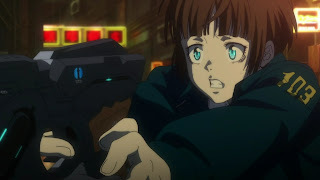 The anime follows the story of Akane Tsunemori, an inspector fresh out of training who is placed in charge of a group of Enforcers, ensuring they follow the rules and stay in control of their own mental state. She takes an interest in Shinkya Kogami, who used to once be an inspector, but when his own Crime Coefficent level grew too high while investigating a difficult case was demoted down to Enforcer and treated like a latent criminal - like the other Enforcers, who are all latent criminals, given the chance to redeem themselves by working for the police instead of committing the crimes they were predicted to do. If her curiosity develops into something more we can only theorise, but as the episodes continue, I wonder if Akane will turn out to really be the perfect, high-scoring, 'model citizen' they all believe her to be. It will be interesting to see if she goes the same way of Shinkya Kogami. The concept of this anime is brilliant, and is what made me start watching it. At first I was put off by the below-average anime quality. They could of at least made the characters look pleasing to the eye, but I suppose the artists were going for a more average, realistic look - which that did achieve. Animation style aside, the story has enough going for it to make me continue to watch. Unfortunately, the gem I now see in it only became apparent about four episodes into the anime. The first two episodes were a real struggle, dealing with dark situations, weak characters, unexplained plots and ridiculous arguments that just ended up being a waste of time and over dramatisation. This was solved by the story starting to actually go somewhere productive and become serialised series from one episode to the next, forming a long story arc revolving around virtual reality hackers and crime bosses. The strange, lackluster animation continues to grind on me but I suspect we are in for a very big surprise in the episodes to come that will leave us wondering just where this show came from - very much what happened to the hit TV Show Fringe - the first season barely had any story, yet halfway through the second season the viewers' eyes were opened to an amazing development in the characters and story. 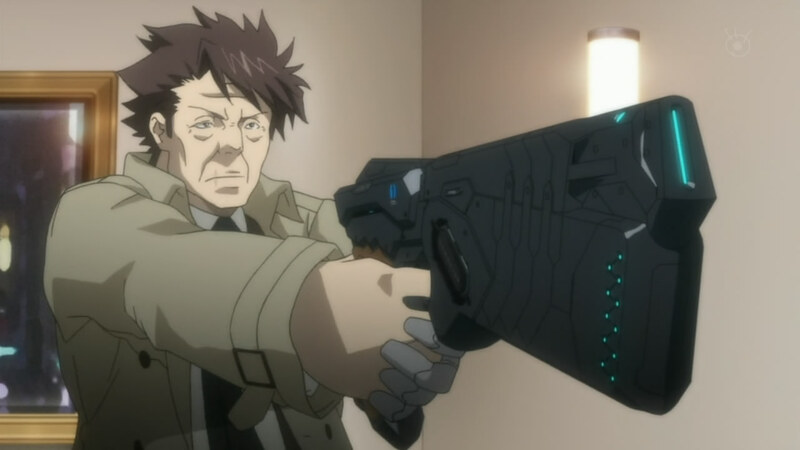 We might just be in for the same evolution with Psycho-Pass. I am very curious to see if the anime lives up to my hopes in the weeks to come. 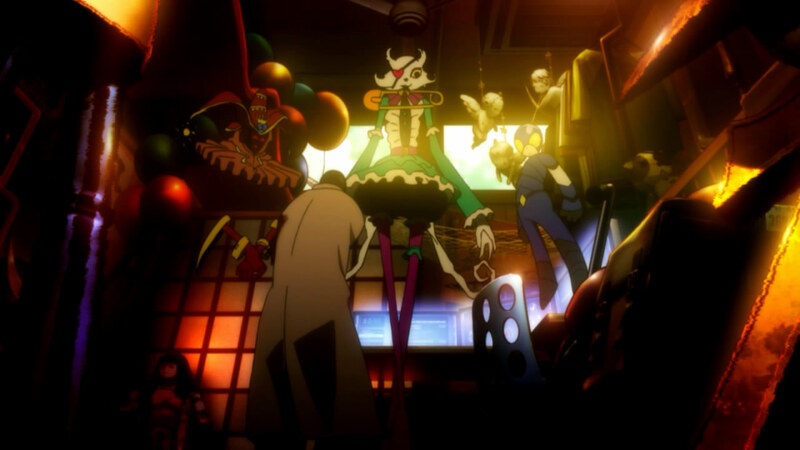 Can you please explain what made the anime quality bad? what do you consider good anime quality? honestly i thought it was awesome and pretty good. However you are entitled to your opinion. I think my gripe with it was the stylistic choices in the way they drew the characters, especially the eyes. 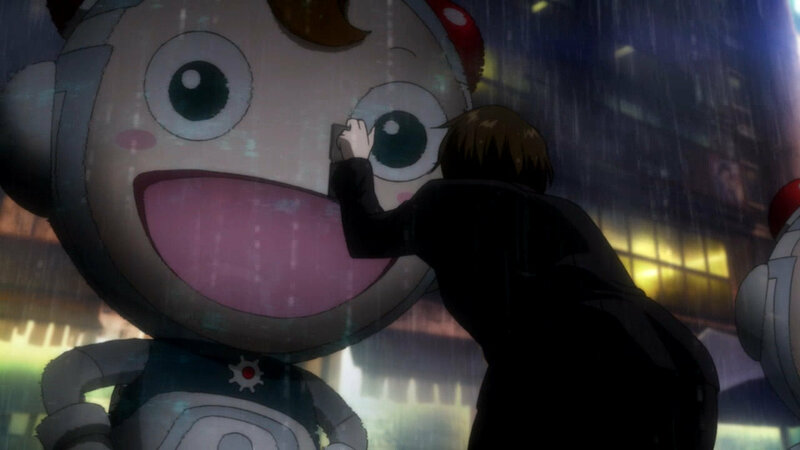 It was the worst for Akane, I think, with the way her eyes were drawn. They were sort of upside down compared to other anime. It gave the effect of seeming a bit like she wasn't fully there mentally. Now that I look back on it, I can see that the animation style was intended to give a very depressive feeling to the anime, and in that they did very well. It suits the setting, the way the community operates and the culture as a whole. But some of the other characters were fine. The anime itself turned out to be rather awesome by the end of it, and well worth watching. It came a long way from those first few episodes to being one of the best of the season. Examples of great animation quality would be K Project and Zetsuen No Tempest. With K, the amount of detail, the effects and the natural style of drawing the characters, the panoramic camera effects, all make for some amazing animation.